Often we discover our true nature only when faced with adversity. Some of us crumble under pressure while some harness pressure to find pearls of courage that help them turn their lives around. Kiran Dyaneshwar Bodade is one of the latter. A happily married young woman from Akola, Kiran and her husband were soyabean farmers, living a happy and content life with their three kids. Kiran was grateful to have a wonderful husband who was also a loving father to their kids. And while they were not rich – most farmers in India sadly aren’t – life was good. Till a drought hit their village one year. Somehow they managed to grow enough crop to sustain themselves that year. But the drought affected their crop for the next two years too. Eventually their 2.5 acres land only grew 1 quintal of soyabeans. This was not even enough to pay for the investments they’d made in their farm – seeds, materials, equipment, labour all came at a cost. Kiran and her husband started working as labourers in other farms to make ends meet. While they somehow managed to scrounge together enough to feed their family twice a day, their debts kept on mounting. Eventually, unable to bear the pressure any longer, Kiran’s husband committed suicide, hanging himself to death. This was the biggest shock Kiran had ever experienced. Left alone with three kids to care for and massive debts to repay, Kiran entertained thoughts of suicide herself but resolved to be stronger for her and her children. Her eldest daughter was in the tenth standard and Kiran sent her to her sister’s home so she could continue studying. Her younger children had to drop out of school. And with a daily income of just Rs. 90, Kiran didn’t know how to make ends meet any longer. This is when we stepped in. There are two factories in Kiran’s village, employing a lot of migrant workers. These workers depended on tiffin services for their meals. We set up a tiffin services business for Kiran, buying raw materials and utensils needed for the business. Now Kiran supplies tiffins to 12 workers at these factories, earning Rs. 18000 per month. 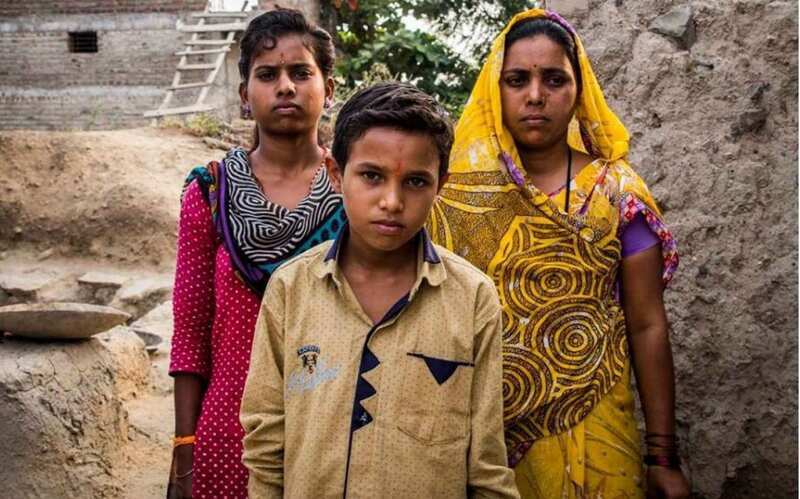 From having given up all hope and the will to live, Kiran is now slowly finding her feet and helping her children build a life with hope and the promise of a better tomorrow.